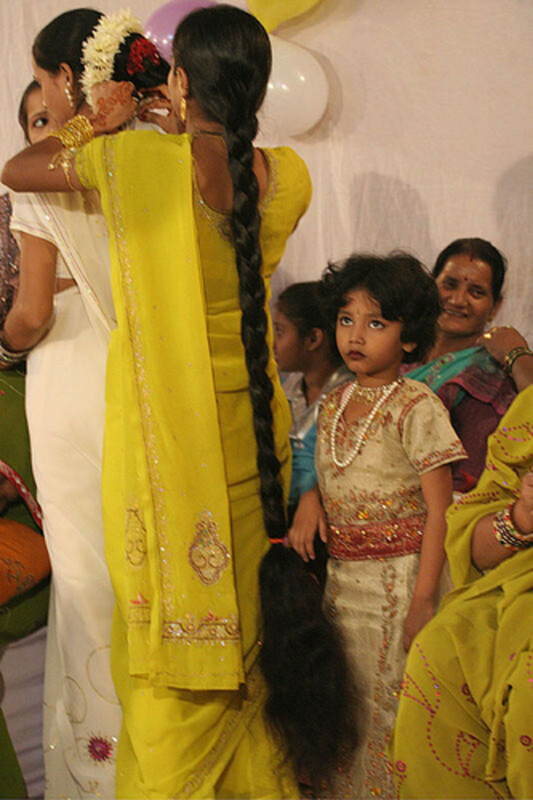 Everyone loves thick luxurious hair and envy others who have gorgeous locks. People the world over spend hundreds or even thousands of dollars a year to get it. Most begin their hair regime by choosing a shampoo, sometimes keeping two or three at hand. One strips the buildup the other hair care products have caused; another was likely purchased because the commercial was so convincing that the user was sure she would also attract men by swinging her long tresses through the air. The fact is that we do NOT need any of these shampoos. Why in the world not? Let’s explore the facts. The shampoo industry is huge, generating revenue exceeding 49 Billion (yep, billion with a B) dollars in 2010 and projections are expecting the shampoo market to reach or pass 58 billion dollars be the year 2015. That is a lot of money folks. I prefer to keep my money for more important uses such as food for my kids. PROPYLENE GLYCOL (PG)-Used as a wetting agent in shampoos, PG is the main ingredient found in antifreeze. Workers in factories where PG is used are required to wear gloves and protective clothing yet unsuspecting shampoo users pour it over their heads every day. PG is proven to cause kidney, liver and brain abnormalities. SODIUM LAURYL SULFATE (SLS) and/or SODIUM LAURETH SULFATE (SLES)-Used as a detergent in most all shampoos, these chemical compounds are the same ones used in soaps used to clean automobiles, to clean car engines and in commercial floor cleaners. SLS and SLES cause skin irritation, asthma, eye malformations in children, depression and damage the immune system among others. Studies prove SLS is able to enter the body through the skin and remains in the tissues for five days, eventually leaving residues in the internal organs and brain. IMIDAZOLIDINYL UREA and DMDM HYDANTOIN-This preservative releases formaldehyde, just like the product coroners use to preserve dead bodies. It weakens the immune system, causes asthma, headaches, pain and swelling of the joints, depression and ear infections (think kids!) among many other illnesses and diseases. Almost every shampoo contains these known cancer causing ingredients. FRAGRANCE-Everyone wants their personal care products to smell great. Advertisements promise the user will float away to a tropical paradise or be joined in the shower by the gorgeous man/woman of your dreams if you only use their shampoo. But fragrance comes with a high cost to one’s health. Just the word fragrance should be an alert. It indicates that up to 4,000 ingredients might have been used to create that scent, virtually all of them synthetic. Known issues from using fragrances include damage to the nervous system, hyperactivity (think ADHD in kids!) irritability, depression and other issues related to nerve damage. There are many more, too many to list here. Let us move on to how we can eliminate shampoo from our homes. Mix 1/2 cup of vinegar with 2 cups of water. Place in bottle of choice and leave in shower. Shake before using. Increase vinegar amount as desired or needed. This works great for normal hair and the vinegar also acts as a conditioner, softening the hair. I have naturally curly hair and do not need a detangler at all. My son has normal boy hair with a lot of body and vinegar works well for his hair also. Mix one tablespoon baking soda to one cup of warm water. Shake until baking soda is dissolved. Leave in shower and shake before using. Baking soda is wonderful for oily hair as it works to cut the natural oils that occur on the scalp. Additionally it will remove the build up caused by years of hair care products being dumped on the hair. After a week or so, the user may find they can mostly use the vinegar option unless the hair is very oily. Much of the time oiliness is caused by the products we use and will resolve itself when shampoo use is discontinued. We are trained to expect lots of suds and foam when cleaning our hair. The new natural way will NOT provide lathering. It takes a while to get used to that. Just bear with it. Remember the health and cost saving benefits. The hair PH (level of acid or alkaline) must adjust. The first week or so might find your hair in shock just like the body when we begin an exercise routine. If it becomes oily, use baking soda for a few days. Almost everyone can eventually use just vinegar and water as time goes by. Be prepared to have people shocked when you tell them you no longer use shampoo (or conditioner). Some will not be supportive at all. Once the hair adjusts to the shampoo free cleaning, almost every person finds they do not need conditioner. That we do is another myth. Commercial shampoos strip the hair of natural, healthy oils and we replace them with conditioners that also contain damaging chemicals. When the hair is wet you may have trouble running your fingers through it. Combing it out will not be an issue though and it will dry shiny and full of body. If hair get dry and feels brittle, you are using too much baking soda. Use no more than one tablespoon to one cup of water. If hair is limp and oily after a reasonable adjustment period, increase the times you use baking soda. It will remove oils. Vinegar may still be used as a conditioner rinse. Hair will most likely not require cleansing as often as you are now doing. As a PH balance is reached and stabilized, one can go up to a week without cleaning it. These vinegar and baking soda solutions can be used on babies and toddlers. As with all products, do not allow into the eyes or ears. Will You Now Stop Using Shampoo? Yes, I am going natural! No, I gotta have my shampoo! I need time to make a decision but will think about it. This divider was made by me and is free for anyone to use with no attribution required. Yes, there must be over a hundred uses for vinegar...all beneficial, tried & true.....just as there is baking soda, WD-40, coconut oil and the ENDLESSLY usable Duct Tape!!! Thanks again. Hello fpherj48. Vinegar is truly a remarkable product. I now use it for many things. Recently, I got a small cut on my hand and treated it with raw vinegar. It began to heal within hours. It does make one's hair shiny and detangles. Once it dries, there in no vinegar smell either. Thanks for stopping by. Hyphen...This certainly sounds sensible and economical. I'm always open to at least trying intelligent, sincere suggestions. You have lovely hair that confirms your advice. Never one to invest in a whole treasure chest full of personal products (which there seems to be no end to & w/ outrageous prices!) I really appreciate this. It sounds like your body is deficient in nutrients, vitamins and minerals. See a natural health consultant. A friend who is recovering from cancer uses Argan Oil on her hair and it is beautiful. The less heat and chemicals we use on our hair, the healthier it will be. Hi! I had great thick heavy hair, and now it's just falling out ;( its very wavy, so I blowdry to straighten it. I have tried everything, olive oil, almond oil, changed shampoos, conditioners, used styling serums, hair and nail vitamin supplements.... nothing seems to work. My hair right now is dull, lifless, brittle, itchy scalp, falls out everytime I wash :( I am thinking of going back to coconut oil I used growing up, and then wash with the baking soda or acv shampoo. Will that help? Will I still be able to use blowdryer to straighten it or should I just give my hair a break from chemicals and heat styling altogether? Hello Jan. Since I wrote this, I have stopped using even the vinegar water. Now I simply massage my scalp well with my fingertips. Sometimes my hair does get tangled, it is very curly. A tiny dab of coconut oil on the ends fixes that. Congratulations on being chemical free. I haven't used shampoo for years. Or not often. I don't use anything unless I go for a swim in the salt chuck, then I might. My hair freaked out at first then adjusted. It is shiny and nice. No one ever believes me but there ya go. Hi Sheri. I went grey about two years ago. I cut my hair really short and hot the color off. Now I just love it. Using a chemical free cleanser and no toxic hair color makes me feel great about my choices. Now mt hair is long again and I do find that I need a conditioner occasionally. That likely is due to it being very, very curly. I see what you mean about confusing your hair with two ways of life. I think it can handle it though. Thanks for stopping by. This sounds like a great idea. I'm going more "green" with time. However, I am also going grey. 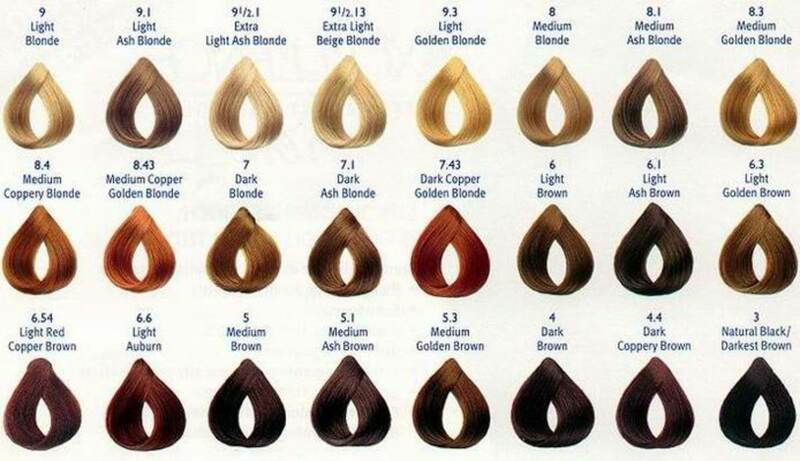 So I have to visit the hairdresser to have my hair coloured. Sorry - not going to let the grey grow in yet. So I wonder if it wouldn't be too upsetting to my hair to be treated "normally" at the hairdresser salon and then go back to "au naturel" at home. Gotta think about this one. I am so happy for you Kathryn. I believe we can greatly reduce incidences of illness and disease by eating great foods and removing chemicals from our lives. Give this method a couple of weeks and I am certain you will see an improvement with the scalp condition. You may want to give up soap and just wash with water or vinegar water. Soaps are caustic. Thank you so much for leaving me a comment. Let me know how you progress. I am so glad I came across this. One of my goals for this year is to reduce the use of chemicals. I have heard too many negative things about many home and beauty products, so I would rather try new ways of cleaning. Also, I am having a terrible time with my scalp and my skin. I'm hoping that if I try natural products, my problems will be reduced. Thank you for the recipe and the information. This is a great article. skyboater, I have no idea then. Visit a hairstylist and ask him/her. Follow their advice to remove the gunk then try the vinegar solution again. Thanks for persevering. It is worth it in the end. I tried Vinegar and baking soda wash and a few days later I still have that gunk. I don't use any styling products. Maybe it's dandruff. Can you use Vinegar for it? Should I put it on a few minutes on my scalp before washing? I have never had that happen skyboater. Maybe your hair had residue from styling products and it settled there. Use no more than one teaspoon of baking powder to one cup of water. Rub it into your scalp area, leave it a few minutes. Rinse and then use the vinegar solution again. The baking soda removes buildup and the vinegar softens. Let us know what happens. Hello North Wind. I SO happy you tried the vinegar solution and got such great results. I always have success. Oh, thank you for letting us know. WhooHoo. Just letting you know that I washed my hair with the vinegar this weekend. I blow dried it instead of towel drying because I had to go out and was a bit paranoid about the vinegar smell. Well, after asking a few people I was told that my hair smelled nice and not vinegary at all. It was just as soft as it is after I have conditioned it, and I have less day- after frizz than I do when I usually shampoo. Over-all, I am very pleased with it so I voted this hub up and useful again! Maybe. If a person has buildup of gels, mousse, etc. there might be a residue. Use a TINY amount of baking soda, 1 teaspoon in one cup of water, mix well and pour over hair. Rub in well and rinse off. Then use the vinegar water solution. It will soften the hair. Then you should have clean soft hair from then on. Thanks for trying the natural way. I am always happy to see people leave chemicals behind. I tried it today. My hair feels sticky....is that normal? That depends on how long and thick a person's hair is. A 16 ounce bottle lasts me about two weeks. It does not take much liquid, just enough to saturate already wet hair, then rub in and rinse off. Thanks for reading and your interest. How many washes do you get from the vinegar mix? Will I have to make it each time I wash? Hello mirrormask. I am so pleased you are considering this natural way of cleaning your hair. 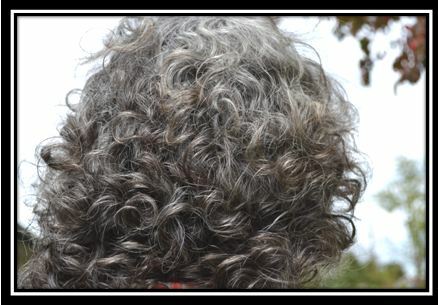 **The vinegar water does indeed reduce frizz and define the curl. I comb my hair after towel drying and then allow it to air dry. It is never frizzy. **I never use gel. Everyone is different and likes their own look. But if one is going natural that includes no gel. They contain alcohol which is drying. The vinegar water is not. **Your measurements will be too strong. 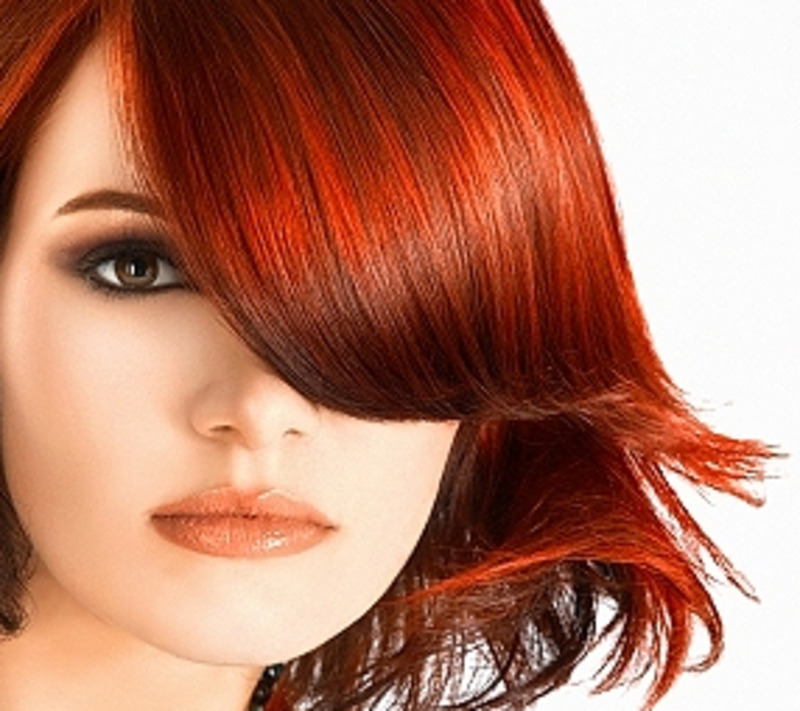 The vinegar will not hurt the hair but will make it too soft and might leave a slight vinegar odor. Thanks for the questions and the visit. I appreciate them. Hi, I have curly hair as well. Does using the vinegar solution help with frizz and define curls? Will I no longer need gels? Is it drying? Does it buildup? Can I make a smaller solution like 1/4 cup ACV to 1 cup water? Hi moongle. These are great questions. If you use oils on your hair, you probably need to clean it first with the baking soda solution, then follow with vinegar water. 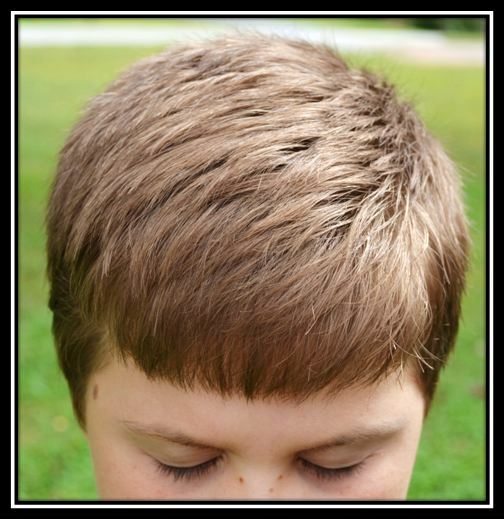 Baking soda strips the hair of oils and buildups quicker than vinegar but is more drying. Follow the recipe. Wet the hair and pour on enough vinegar water to saturate the scalp and lengths. Rub in and rinse off. I do not wait but rinse immediately. Yes, you can use essential oils or herbs to add fragrance. I do not because my hair smells fresh and clean after it is dry. Everyone is different. You can use this every day or as needed. I usually clean my hair three times a week, more in summer if I have been working outside. Vinegar water will never dry out the hair and can be used daily if desired. I hope this answered all your questions. Thank you for being interested in the Hub. Congratulations on a more natural lifestyle. If I use oils, shea butter, aloe vera, or flaxseed gel will the vinegar water be able to remove them? How do I wash with vinegar water? Do I pour ALL 2 1/2 cups of vinegar water or use a little? Do I scrub my scalp and wait awhile before rinsing? Can I mix the water with herbs (lavender, rosemary, etc) then add vinegar? Lastly, how many times should I use this per week? Thank you nee. Let us know how it works for you. Hi LondonLady. It is amazing what we accept and put on and in our bodies. It is time to stand up and say NO to chemicals. The high cancer rates alone should tell us we must stop the madness. I hope you do try this. Let me know how you get on. We are still loving it. Thanks for the votes. Hello carfel718. I hope you come back to the natural way. It is inexpensive and much healthier. I appreciate your visit and comments. I have copied your comment and am pasting it here as I do not allow links in comments. Too often they lead to spam or other issues. Thank you so much. Vinegar and baking soda make a good treatment, I used this when I was younger and it worked nicely on my young hair. I don't know now how it will work on my older hair of my late forties. I was led away from this method by the fantastic commercials that promise great hair." Hi femme. I do also. Too many chemicals are used and it affects our health and the environment. Thanks for stopping by. Hello themadimadimadi. My teenage niece uses my concoction when she is here. That is a great testimony. I will try your coconut oil. Sometimes in cold weather my hair gets a little dry also. Thanks for the tips. Wow great tips! I'm extremely picky about my shampoo, and my haircare. I'm constantly trying new things to improve my hairs quality and strengthen it. I recently wrote a haircare hub as well. My favorite natural product to use is coconut oil. On nights I know I need a hair wash I sleep with coconut oil in it. The results speak for themselves! Great hub, very very useful information. I seriously can't wait to try these tips out. Voted up! Hi jacharless. Many years ago we used to use a whole egg as a conditioner. Nowadays I am vegan so there are no eggs around here. I do remember it worked well though I am dedicated to an animal free lifestyle now. Thanks for visiting the Hub and for your comments. Hi DzyMsLizzy. Many people have concerns about vinegar smells. But once it dries the odor is gone away. My hair never smells like vinegar nor does my home. Thank you for the cautions about using tea tree oil on kitties. I myself do not add essential oils to my products. The simpler the better to me. But tea tree oil is one of my favorite remedies for cuts and scrapes. Thanks for the warning! Hi summerberrie. Retailers and even our government want us to think we need all these things. It is good for the economy when we waste money on stuff we do not need. Thank you for those sweet comments and indeed rajan jolly is one smart man. Hi Robt. I am so happy you are going to try this healthy option. Too many chemicals harm us and our planet. Please let us know how you get on or if you have any questions. I am still loving it and so does my teenage niece who comes over every weekend. Hello rajan jolly. I have heard that about using earth to clean hair and indeed skin. The minerals would be good for the hair also. Vinegar is indeed a great therapy to get rid of dandruff. It might take several weeks but works very well. Give it a try! Hi Audrey. I am so pleased also that you found this article. 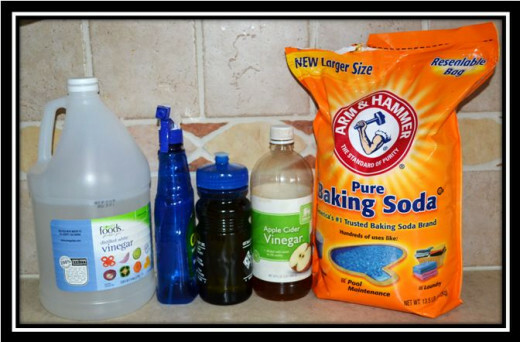 We use lots of vinegar around the house and lately have incorporated baking soda. Instead of buying powder cleansers baking powder is a great option. Honestly the vinegar water does not smell after one's hair is dry. Let me know how you get on or if you have any questions. I know this technique and it does work. Another I used is simply egg white -yes egg white!! like the ones used in marshmallow or meringue. It naturally cleanses hair, skin etc. And for those stuck on foamy soap, shampoo or thick conditioner, making homemade egg white conditioner is just like making mac-n-cheese sauce. lol. Same temperature to solidify the ingredients and 'scents'. Great Hub. So glad to have run across this article today! I have been using vinegar and baking soda to clean my house. I am so glad to know it is effective for hair as well--will have to give a try! Thank you! Very interesting, indeed. The "fear" of smelling like a salad, as one commenter put it, has usually dissuaded me from trying vinegar as a cleaner--including in my home--don't want people walking in and thinking they're in a vinegar distillery! On the other hand, you are SO right about the dangers of all the daily chemicals we use and, yes, even consume! However, it's something many are unaware of, and others, (pleading guilty, here) simply push to the back of their minds and try not to think about it. We don't spend a lot on shampoo, though, at that--we just get what's available at the dollar store, so we spend only a buck instead of five or almost ten. I'd be willing to give this a try--hubby might be a harder sell. I took a short class once, on "Indian and native uses of plants." I've forgotten most of it, but I do recall that Ceanothus blossoms were used as soap, and do make a nice little bit of lather...also very natural. Please, do NOT use tea tree oil on cats--it is toxic to them. I have written a hub on safely keeping fleas and ticks off your pets, and it references a great website by a group that is trying to lobby the EPA to ban all the drops and collars and chemical flea controls. Pets have been severely harmed, even killed by these products. Well, if you write it and rajon jolly shares it then I knew this was going to be good. Who knew you could do without shampoo. I'm all for natural ingredients so thanks for this valuable resource. I have just been thinking about this topic recently. I hate the idea of negatively effecting myself and the environment. I am definitely going to give this a shot! Thanks for writing such a valuable piece. I am sharing this for sure! Hyphenbird, it might interest you to know that in villages most women still use the good old earth to wash their hair and the healthy hair shows. It's time we do away with chemical shampoos. I sure would be trying this out. Just one question; does vinegar combat dandruff? Voting it up, useful, interesting and shared. Hi givans1980@yahoo. I love dreads and wish I had worn them years ago. My hair has a lot of curls also but does not get dry when I use vinegar water. Baking soda will dry out hair. I recommend it for oily scalps and then vinegar water through the lengths. Many people do use essential oils but I like to keep things simple as possible so I do not. Isn't it wonderful to save all that money and also know we are keeping chemicals out of our home? Vinegar and baking soda are amazing products. This is a great way to keep ourselves groomed with no chemicals. Thanks for putting this info together. It is very useful and informative. Hello Apps. Shampoo strips the hair and then we use conditioners to replace what was removed. By using all natural ingredients to clean the hair, we save money, reduce our environmental impact, keep chemicals off our body and still have lovely clean hair. I hope yo try it. Thanks so much for your visit and comments. Very interesting hub! I'm very concerned about all the chemicals in the products we use, but would never have thought to use vinegar and baking soda. Super hub and great hair. RTalloni. I have and thought about adding those tips to the Hub. I wanted to keep it as simple as possible though so I decided not to add that information. Rose, lavender, etc can all be added as preferred. Thanks for the suggestion. It may help a reader. Thanks for this look at cleaning our hair with natural ingredients and for the recipe. I had heard of doing this but had not checked into it. Have you heard of adding an essential oil such as lavender to the mixture? Hi Kathryn. I think it does too. I have also saved a lot of money. Thanks for stopping by. I think I shall try this... seems sensible. Hello Peg and thank you. We should never have left those natural products in favor of chemical laden commercial ones. At least we are beginning to wise up as you said. I love my hair since I have been using vinegar. It is so manageable and that is not easy for curly hair! Thanks for the visit. Well this is very interesting topic. The acidity of the vinegar solution is what makes the cuticle lie down and the hair shine. I also remember getting vinegar rinses as a child. Interesting how we are returning to the natural products that our grandparents used long ago. Great info here. What an excellent hub! The danger of shampoo with chemicals has been a topic on my mind so I'm so glad you did a hub about it. I have been so curious as to whether baking soda and vinegar really worked but you proved it does. I have been using chemical free shampoos that I researched and have adjusted to the fact that they don't lather but still don't like it. When I get my hair extensions out I'm going to try the baking soda and vinegar and see what happens. Not only is it good for your overall health it is great for making your hair beautiful as you illustrated. Voted up! Becky, that must smell wonderful. I will make some for my own little pooch. Thanks for the recipe. Humid areas do allow insects and pests to breed in out of control ways. It is like that here too. I have been using the Brewers Yeast for about 35 years but I lived in Nevada. They are not as numerous there. Now I live in flea country. TN is moist and they love it. I never had a problem and am finding out more of what works. Only had to use the Brewers Yeast before. I got some tea tree shampoo when Katy got lice at school and she used it as long as she was in public school. She is home schooled now and has not had a problem. We shampoo'd the dog with it and then sprayed him with the spray that I mixed up. Two drops of Eucalyptus, two drops of peppermint, a drop of lilac, and a cup of water. The spray makes him smell good and he has already quit the scratching. Becky, I am so thrilled. Chemicals are as dangerous for our pets as for us. I did know flea protection can be all natural. We use brewers yeast and tea tree oil. This summer I did notice a few fleas and had to get aggressive. The summer was wet and hot so that most likely contributed. Also they are feral cats in the neighborhood and some dogs roam freely. They probably leave fleas in our yard. Thank you for sharing your great news. Hi Susan. My son was an easy convert but when my teenage nieces come to visit, they bring their own shampoo. Girls are tough to convince. I am happy you are willing to go natural. Brenda, This is great news. I'm all for not using those nasty chemicals and for saving money. Hopefully I can convince the rest of my household not to use shampoo. @Becky I've been using Brewers yeast for my dogs for years and neither one of them have ever had fleas. Did a bunch of research last night on natural flea repellents for my dog. Found some interesting ones and bought some essential oils to mix with some water for a spray. A drop of this and a drop of that and he smells so good. Did you know that fleas do not like the smell of Eucalyptus, peppermint, or lilac and will stay away from those smells? Did you know that they will kill fleas? I found out some wonderful things and the dog is more comfortable. 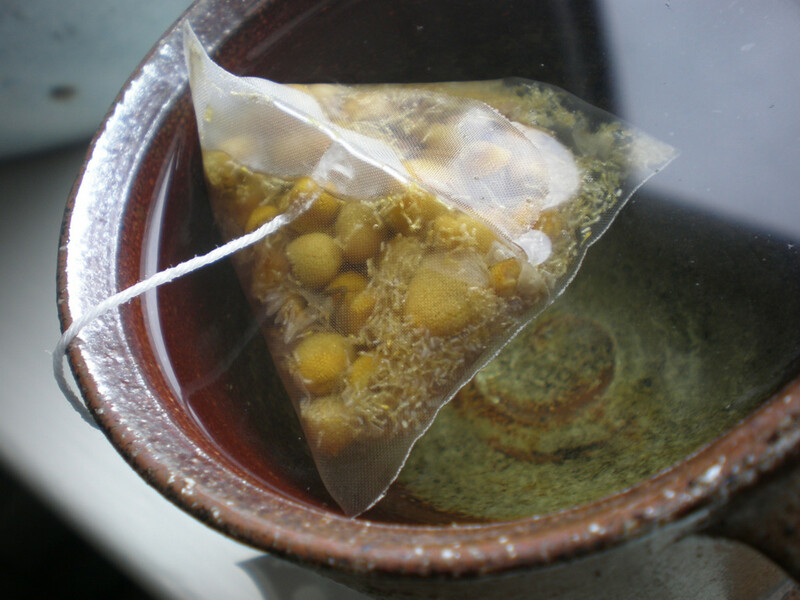 He has been taking Brewers Yeast for a couple of years but they are bad this year and it wasn't working as well. I won't put the drops on him. They say to wash after using but they want to put it on my dog to absorb through his skin. I think not. Hello injured lamb. Good for you. I am convinced chemical exposure plays a large part in all the cancer cases we see. Common sense tells us they are bad but people use them anyway. As we make the change away from chemicals and processed foods we help the health of our bodies and the planet. Thank you for coming by and leaving your personal story. It makes me feel great to know others are seeing the light. I really do agree with you that "skin is the body’s largest organ, why would we use them on our body?" This is a hub that deserved to be shared, vote this educational hub of yours an "UP", cheers! Hi Movie Master. Thank you very much. My hair gets a little bit wild sometimes but I wouldn't change the curls.Let us know how you get on with this. I will never go back to shampoo and regret every dollars I have spent on them. Thanks for reading the Hub and being willing to reduce chemicals in your life. I will certainly give this a try, a wonderful article and your fabulous hair sold it to me too! Sunnie! Yeah for you. I knew you were smart and wonderful. Isn't it amazing how well this works? I am truly excited to hear your testimonial and hope it along with this article encourages more people to ditch the 'poo! Hi Mar. Just wait until you see Monsieur's hair! Yes, I have always been cool-out of the box cool that is. lol. Please try this. I want people to be healthy and to save their hard earned money for other things rather than literally washing it down the drain. Thank you for sharing and for the votes. Hi lyricwriter. Most of us have no idea what we put on or in our body. The high number of people with cancers should scare us and force changes but Americans are so complacent and just accept the lies that we need these products. I hope you do make a change for your health. We need people like you in this world. Exactly midget! Chemicals are not our friends. I appreciate your support and for sharing this. Thank you so much always exploring. I wish it was long again but that will come in time. At least I have all the color off now and it is all natural. I believe once people try this they will never go back to shampoo. Just the money savings alone is mind boggling. Shampoos are expensive! Thanks forgiving it a try. I was so happy to see this. I have been doing this for over a year and I can tell you it works. The beginning is the hardest as our hair has to get all the stuff out and the mental part but after a week, it is wonderful. There is never a smell but fresh clean hair. I learned also that over bathing my dog, which it has been over a year since her last bath that the brushing everyday and naturla oils will clean her coat and there is not need to bath her like we used to unless of course she gets dirty. My parents get their poodle groomed every two weeks and by that time it is about time to take her, she is smelling. SO there is something to letting nature do its thing. Thank you for sharing this..Just yesterday my daughter said mom what are those empty water bottles in your shower and then she said oh yea you don't use shampoo..haha The less chemicals we put in our body or on them the better..
Hello aviannotice. Good for you girl. One can add essential oils to this and make a nice scent. I did not want to complicate it for a new user so I did not add that. Let me know how it works for you. Thanks, Hy. Hi Becky. Mix 1/2 cup of vinegar to 2 cups of water. Rub into the scalp and just allow the rest to run into the length of your hair. You can massage the vinegar solution in if you want just rub gently to avoid breaking or tangling the hair. But you most like know that already since you have that great long hair. I miss my long hair and will be so happy when it grows back out. I am going to experiment with Vinaya's mustard powder but have a feeling that might work better on more oily short hair. Powders and long hair do not compute in my mind. I have vinegar in my cupboard and am out of shampoo. How much do I use. My hair is down to my waist. I also have some dry mustard powder, so will try that also. Come clean...Hyph! have you always been this cool? You hair is a beautiful advertisement for ditching shampoo, how gorgeous. Thanks for this information and I will be trying. Voted UP and UABI. Hyp, what an interesting article! Great work on this article. I had no idea! I am shocked! Truth be told, I would think that many people don't even know what is in shampoo nor do they care. I didn't until now. Really makes you think. May have to change myself. Voted up, useful, interesting, and shared. Hyph, will try this out. the chemicals in shampoos serve to just harm. Thanks for this, which I share! This was already my plan when I finish the shampoo that I have. I got some tea tree oil to add to the baking soda/vinegar shampoo. Thanks kashmir56. I appreciate the votes and the open mind! Hello teachs. Please do this when your shampoo is all gone. I have used this solution long enough to know it works. Let me know how you fare. suzettenaples, I am so happy for you. The vinegar works as a natural softener so that should be enough to keep your locks all lovely. The first few cleanings will seem strange without lather but stick with it and you will be amazed. Contact me if you have issues and I will try to resolve them for you. Hairdressers in shock-I wouldn't doubt it! Vinaya, that is a great tip. Americans are so indulged that we often forget most of the world lives without such things as great smelling shampoos and the like. They also live without all the chemicals so they are really better off in many ways. Thanks for the great suggestions for cleaning one's hair. Hello my friend Alastar. Chemicals and diet are killing Americans in record numbers. It is time to wake up and take control of our health. Losing some lather is worth the health benefits for sure! PS-I think that lad has lovely hair myself. DearFrog, it is not time consuming. Mix vinegar and water and pour it over your head. You will have girl frogs hopping to your lily pad to see how shiny your hair is. It really is great, frugal and works. Less money in taxes to the You Know Who administration. Hello North Wind. I will lend you some friends. lol Seriously, I will never go back to using chemicals on my hair or my family's either. This is so cost effective and makes great sense when one puts science behind it. Thanks for reading and considering the great move to natural. Very useful information, i will give it a try soon . I have heard of this remedy before but not told how to make it. If I am bold enough, I will try this next time I need shampoo. It makes sense and will save me money. Thanks for sharing. Great article, Hyphen! What you do for us readers - and we appreciate it! I have three aunts that are cosmotologists and have worked as hair stylists all their working life. They are in shock! No, just kidding about the shock. This sounds great and I am going to try this for a while. I am so tired of hair products, but I will say this: in Florida, if I don't use a conditioner on my hair, it becomes a fuzz ball. I have tried to go without conditioner and it is not a pretty picture - bad hair day all around! But, I am going to try the vinegar and water. Your hair is beautiful. I also have naturally curly hair, so I hope this works for me as well as it does for you. Wish me luck! I have used vinegar/lime juice to clean my hair, which is wonderful. I don't know if it is available in the market, however, mustard powder is a wonderful hair cleaner, and a good alternate for shampoo. Bravo and thank you Hyph for this consumer alert! With everything else we have to watch out for nowadays the insidious commercial shampoo often slips our attention. Your home shampoo is great info to know and the icon pic of the healthy looking lads hair is the proof in the pudding bowl. Up use and awe my friend. Interesting and informative HB. Seems a bit time consuming but I'll check it out.